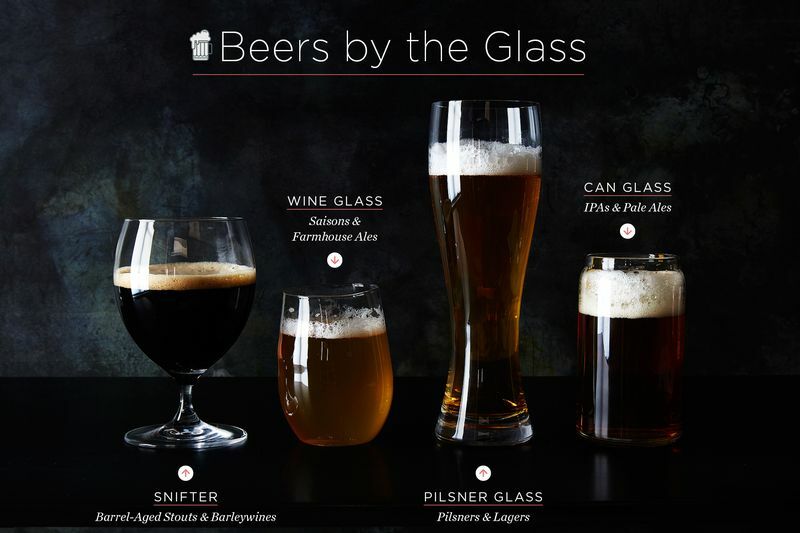 When it comes to beer, the glass can matter just as much as what's in it. 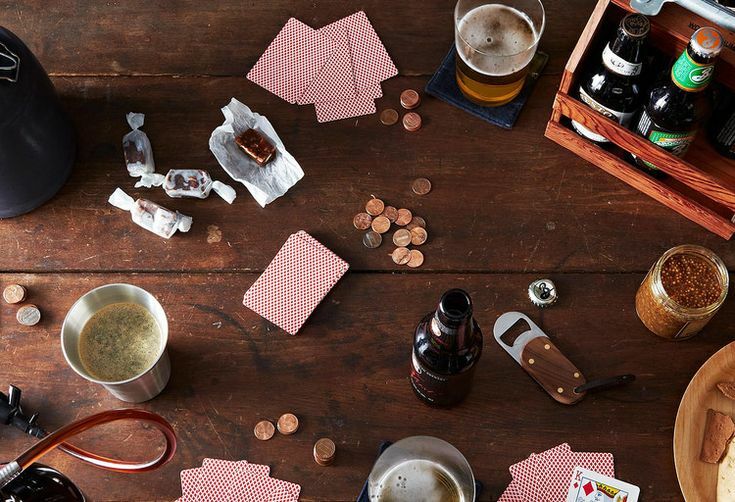 Just like the liquid it holds, beer glassware has come a long way over the last decade. The lamentable, ubiquitous shaker pint—which, as the name implies, was originally used to mix cocktails, not serve beer—is still the standard at most bars and restaurants. But now bartenders and especially sommeliers are recognizing the need for serious stemware to match the increasingly high quality of beers on the market. Because of their high ABVs and strong, aggressive flavors, imperial stouts and barleywines are meant to be served in small pours at cellar temperatures (around 55° F). This makes them perfectly suited for a short-stemmed, globe-shaped snifter like the kind you’d use for bourbon, brandy, or cognac. The balloon shape focuses volatile aromas that would otherwise dissipate in an open-topped glass while allowing the beer to unfurl and develop as it warms in the glass. No, it’s not pretentious to put beer in a wine glass! Especially if you’re drinking a fruity, light-bodied, highly effervescent saison or farmhouse ale like the ones brewed in Belgium and France where wine glasses are de rigueur. Not only is it the perfect size for beer (comfortably holding around 10 to 12 ounces of liquid), the stem prevents your hand from warming the beer as you hold it. Need more proof? Wine glasses are increasingly the go-to stemware at serious beers bars like Tørst and Spuyten Duyvil in Brooklyn. “Pilsner” glasses come in many shapes and sizes—from slim, towering vessels to clumsy, thick-walled steins with knobbed handles. Our favorite design is one that is sleek and thin-lipped and that holds a significant amount of beer without allowing it to become warm and flat by the time you get to the bottom of the glass. (Remember: pilsners should be served not just cool, but cold.) Though they may not be traditional, many new pilsner glasses are designed with short stems which look sophisticated on a dining table and and lend a touch of elegance to a beer style that doesn’t often get much love. Over the last few years, one of the most widespread trends in beer is the packaging of big, hoppy IPAs and pale ales in 16-ounce cans. Minnesota’s Surly Brewing jump-started the movement in the mid-aughts, while Vermont’s The Alchemist cult-ified it several years later with their uber-popular (and extremely limited) Heady Topper Double IPA in cans. Now glassware designers have begun selling 16-ounce can-inspired glasses that are literally pint-sized. It may sound hokey but these glasses are legit. First of all, they’re a great alternative to the ever-present (and wholeheartedly clunky) shaker pints, especially if you can find a thin-ish one. And second, the slight taper at the top concentrates the hop’s ephemeral, invigorating aromas of citrus, flowers, and herbs. Plus, they fit a proper 16-oz pint pour in a single glass! This is truly the most versatile beer glass you can buy, perfect for anything from pilsners and saisons to hoppy ales and imperial stouts. Its thin rim and curvaceous, tapered shape make any beer you pour into it seem like a revelation—it concentrates aromas, keeps the liquid inside it cool, and feels great in your hand. Do you pour your beer in its proper glass? Would you rather allot your cabinet space to plates? Tell us in the comments below! I love beer. Especially craft beer. Down with the shaker pint! Up with weird shapes! So fun!! PS, when is it appropriate (always?) to drink wine from snifters as we do in my house? To me, it is the perfect marriage btw a tumbler and a long stemmed glass.